Songwriting Camps and Workshops Take Flight – To Austin! When I was nine years old I spent most of my days exploring the wooded area behind our apartment complex, making up songs on our old piano, dressing up like Laura Ingalls Wilder and teaching an imaginary classroom of kids. Now I’m 42 and besides the oversized dress and bonnet, things haven’t changed much. I love nature, I love working with young people and I love writing songs. After two decades of recording and touring, eight years of public and private school teaching, I’ve honed in on where my true talents and passion lie which is in helping others discover and express their own unique voice. This has led me to create my dream job leading songwriting workshops and camps for young people. 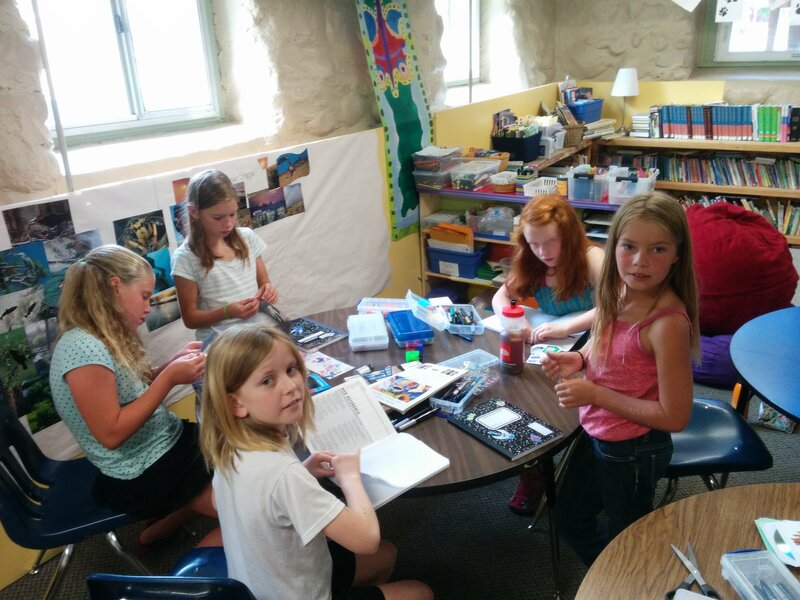 The mission of these programs is to demonstrate to kids that when we explore the world from an artistic standpoint, we can express our perspective in a way that makes life more interesting and meaningful to ourselves and to others. By infusing a sense of fun and curiosity into all that we do, learning becomes an exciting adventure rather than a mundane routine. Finally, collaborating with others to create a body of work that reflects authentic feelings and experiences has a huge impact on the way we value our own voice as well as the voice of others. Since it’s inception out of my one bedroom apartment three years ago, the Young Songwriter Workshops and Camps have evolved considerably in scope and depth. 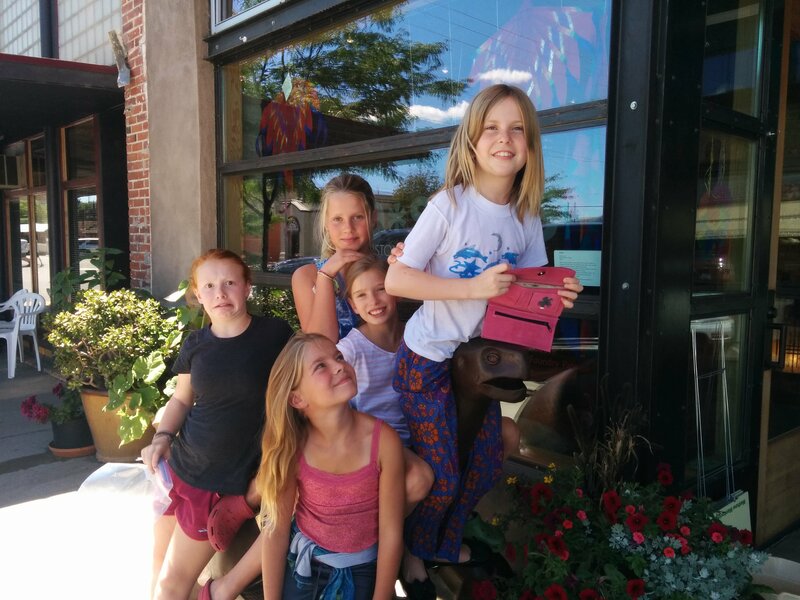 This summer alone we worked with approximately thirty kids who wrote over sixty songs using inspiration found in nature, urban adventures, artistic explorations and connection with one another. We witnessed kids paralyzed with anxiety upon arrival, singing and creating with wild abandon within hours. Campers who were experiencing a fair amount of turbulence in their personal lives were able to process their feelings through their lyrics as well as connection with new friends and mentors. For example, Leo wasn’t sure the Orcas Island Songwriting Camp was for him. He’s more of a hip hop techno kind of a guy and a songwriting camp with a bunch of little girls didn’t seem very appealing at first. He quickly opened his mind and attitude towards the possibilities and took on the role of recording engineer and producer. We watched him exercise qualities of empathy, patience and leadership as he supported the songwriters during the challenging and sometimes scary recording process. He even ended up emceeing our CD release celebration and was quite the entertainer. It’s been truly amazing to watch these workshops and camps take on a life of their own with a minimal amount of guidance from adult mentors. I believe the most important things we provide is a framework from which to set goals and a sense of safety and freedom when it comes to self expression. The goal is to write songs but as is the case with all artistic endeavors, it is the journey and not so much the destination that really matters. 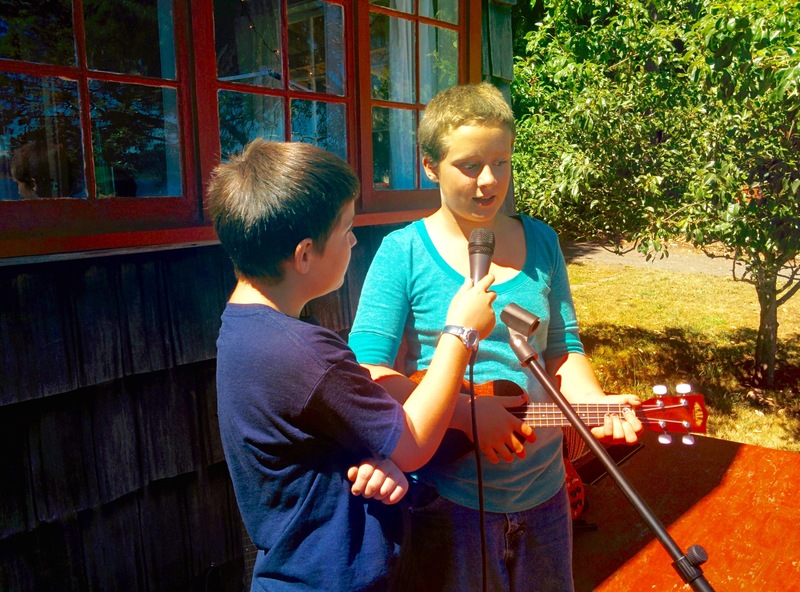 Parents and campers alike have used words such as “transformational” to describe their experience at songwriting camp. Each day we spend time journaling, manipulating words and pictures we find in magazines and various pieces of literature, listening to music, exploring the outdoors and observing humans in their natural habitats such as coffeehouses, grocery stores and even laundromats. Before too long, the ideas we’ve captured through these activities take the shape of songs which we begin recording immediately so that they don’t “escape”. Participants are given as much freedom or support as their musical skills and personal interests dictate. Some find that they’d rather spend time working on musical ideas while others focus more on lyrics. There are opportunities to practice performance and vocal skills, engineering techniques, CD cover design and improvisation with various instruments. Through both introspection and collaboration, a collection of great songs is the final product of our creative effort. Like every dedicated teacher and performer, I get extremely anxious just before the start of each workshop. And without fail, as soon as we begin I am delighted by the qualities that each young person brings and reminded that children are innately non judgmental, creative and have a natural ability to open their hearts and minds to new experiences. Young Songwriter programs provide an opportunity to experience life as a brave and open-hearted adventurer with an appreciation of uniqueness in ourselves and in others. This enables authentic self-expression which ultimately leads to greater happiness and the sharing of our gifts with the world. 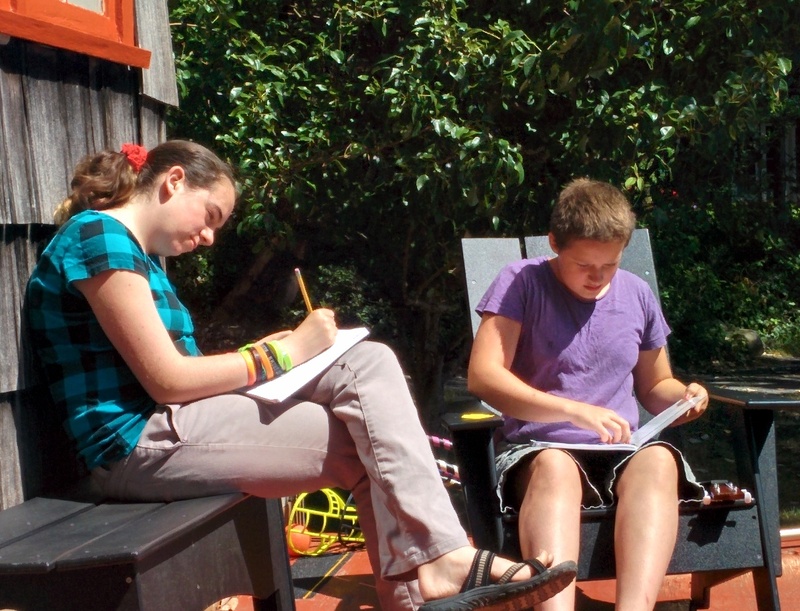 Young Songwriter Workshops and Camps are mobile and adaptable to a variety of settings and time frames. Please contact havilahrand@gmail.com to learn more and register.